We hosted our first Tech Tuesday today! 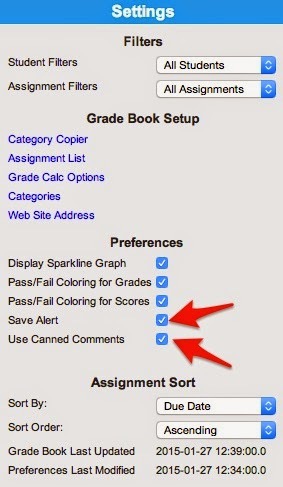 Our main focus was on Infinite Campus: grading tasks, message center, and checking grade category set-up. It was a great to connect with people on the transition to Infinite Campus. 1. During training we set up "Grade Calc Options" for one course; however, it seems some people forgot to go in and do the same for their other 4 classes. Stop in to see us or refer to the handout from training for help in setting those up. 2. On the settings tab, District would like us to have at least the last two options selected. The other options are up to you! Thanks to everyone who came by. Please stop down Tuesdays or any time you would like to discuss instructional technology.